Gigi Moving A Merrick Moving Company serving Long Island New York. As Local Long Island Movers servicing the Merrick, New York area, GiGi Moving has everything to make your local move easy, safe and comfortable. GiGi Moving is your top choice for a local mover throughout New York and Long Island. We belong to many accredited nationwide organizations from the Long Island Moving Association and the American Movers Conference of the USA and others. We are licensed by the State of NY Department of Transportation (#T-10704) and the Federal Highway Administration (ICC #MC 208946). 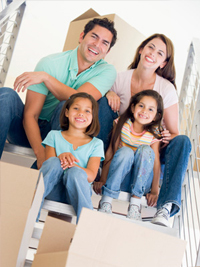 GiGi Moving is known in the industry as one of the most honest and reputable local moving company.